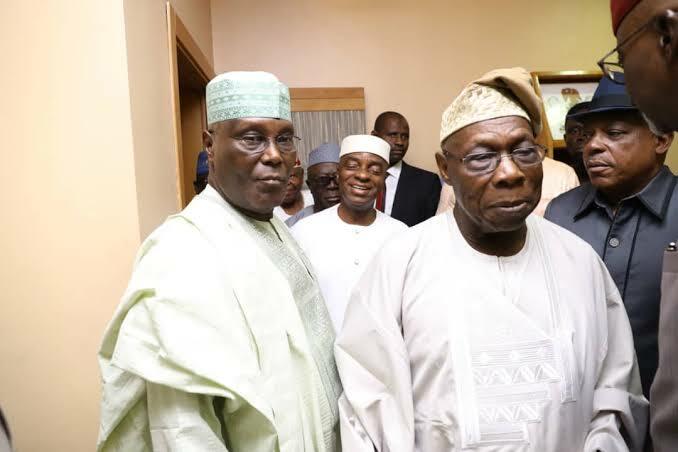 The presidency has said it received the news of former President Olusegun Obasanjo’s "predictable U-turn and somersault on the endorsement" of the PDP candidate, Atiku Abubakar, at a meeting on Thursday, October 11. The presidency said it was not surprised by what it called the well-rehearsed theatre. "They will lose together. Listening to the prepared statement of the former president after the meeting showed the usual ego trip and 'I know it all' character of Chief Obasanjo. "In the first place, we dare to say that a pompous statement from the former president advising Nigerians on a vote against President Buhari is the best recommendation that can come at this time. "It also betrayed a lack of understanding of today’s politics which is about good governance. "The country voted for change in 2015 and a leader that ensures good governance which only President Buhari and the APC can provide. "Bent on these laudable goals, we will not allow ourselves to be distracted," the statement said. The presidency said it was busy on various national issues including the restructuring and the diversification of the economy, fighting corruption, terrorism and other threats to national security; increasing the availability of electric power, improving education, health, and providing long-delayed infrastructure like roads, rail, airports and so forth. "Many governments have come and gone, but they did not care about some of these projects. "We were talking about these things for sixteen years under the PDP and nothing was done.